Welcome to the November 19, 2018 edition of ACM TechNews, providing timely information for IT professionals three times a week. A working draft of the standard for the next C programming language revision, C2x, is available for review. Most changes that have thus far been approved for C2x clarify and refine how C should behave in different implementations and in comparison to C++. The proposed revision emphasizes keeping future editions of C compatible with the large body of existing C code, and avoiding "quiet changes," or those that cause a working program to work differently without notice. So far, C standard oversight group WG14 has formally approved only a small number of revisions, including a clarification of the restrict keyword; making static assert behave the same in C as it does in C++; and better definitions for unions' behavior. The current roadmap for C2x provides at least two more years for the proposals to complete the review process, and WG14 aims for a revised standard by the end of 2021, with a publication date of 2022. 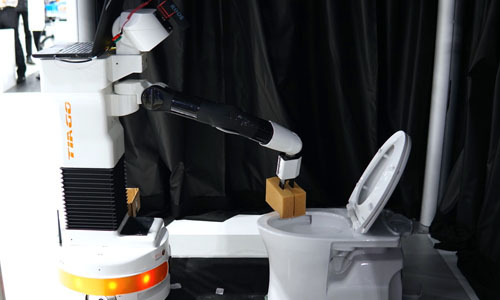 Researchers at the University of Koblenz-Landa in Germany, competing at the World Robot Summit (WRS) in Japan, developed a robotic system that was able to successfully clean at least 80% of the liquid from on and around a toilet, and remove trash from the floor of a bathroom. There were a variety of different approaches that the teams used for this particular challenge at the WRC, including building a robotic system around the entire bathroom to handle the cleaning tasks. However, the German team's method proved to be the most practical robotic system. The researchers used the PAL Robotics TIAGo system for the competition. The growing acceptance and proliferation of conversational artificial intelligence (AI) is expected to have a subtle but ubiquitous effect on everyday human life, with intelligent chatbots potentially automating almost all commercial interactions. Scientists anticipate talking software becoming increasingly able to help people manage their emotions. For example, Stanford University's Alison Darcy built a cognitive behavioral therapy (CBT) robot to help people suffering from depression. The "Woebot" text-chatbot offers patients conversational prompts to walk them through CBT, and tests determined subjects experienced less depression and anxiety after two weeks of Woebot interaction. For many AI scientists, it is less important now for robots to pass the Turing Test than it is to advance technology that socializes with humans without convincing them that it is human itself; this invites debate on what personalities AI should possess. University of Massachusetts Amherst (UMass Amherst) researchers have created a promising building block for next-generation nonvolatile random-access memory, artificial neural networks, and bioinspired computing systems. 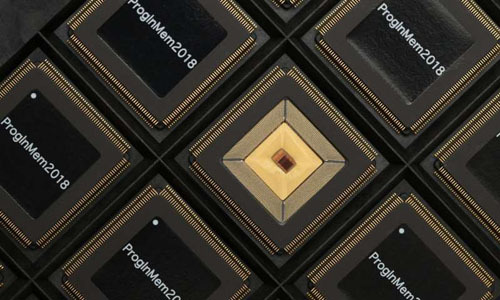 The team said the memristor crossbar arrays they have assembled are, "the first high-density electronic circuits with individually addressable components scaled down to 2 nanometers dimension built with foundry-compatible fabrication technologies." UMass Amherst's Qiangfei Xia said their research "will lead to high-density memristor arrays with low power consumption for both memory and unconventional computing applications. The working circuits have been made with technologies that are widely used to build a computer chip." The team built highly conductive nanoelectode arrays by developing "nanofins," metallic nanostructures with reduced resistance thanks a very high height-to-width ratio, to function as the electrodes. Osaka University researchers have developed a new approach to pressure distribution measurement using tactile imaging technology. The researchers used the relationship between the pressure of two conductors and the electrical contact resistance between them to develop a sensor composed of a pair of electromechanically coupled conductors, where one conductor had a driving function and the other performed the probe function. 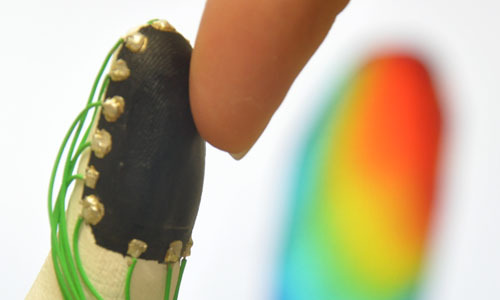 This technique enabled the development of a universal tactile sensor for contact pressure distribution measurement using simple conductive materials such as carbon paint. Said Osaka University's Shunsuke Yoshimoto, "Sheet-type flexible sensors were fabricated, along with finger-shaped sensors produced by coating [three dimensionally]-printed structures with conductive paint, to illustrate possible practical applications." Researchers from the Graz University of Technology in Austria, the imec-DistriNet group at KU Leuven in Belgium, and the College of William and Mary have disclosed five new variants of the Spectre attack and two new variations of the Meltdown vulnerabilities found in Arm-designed silicon chips from Intel and AMD. These chips manage extremely sensitive data, such as passwords and encryption keys. The new attacks have varying effects on AMD, Arm, and Intel central-processing units, which Intel said "can be fully addressed by applying existing mitigation techniques for Spectre and Meltdown." An Arm spokesperson also said the attacks could be "addressed by applying existing mitigations." Watchmakers facing declining sales from Apple's smartwatches, including TAG Heuer, Swatch, and Fossil Group, are enhancing their more traditional timepieces to boost their high-end consumer appeal. TAG Heuer released an upgraded smartwatch developed with Intel and Google to include fitness tracking, a global-positioning system, and contactless payment. TAG Heuer CEO Jean-Claude Bivers said the hybrid watch is successful because "it really looks and feels like a real watch, but with all the information you need." Meanwhile, Fossil Group released about 25 new smartwatches this year for various brands, with augmentations like heart-rate monitoring and Google Pay. In addition to launching a contactless payments-enabled watch last year, the Swatch Group said it plans to develop its own operating system for watches, and roll out the first products equipped with it by either the end of 2018 or in 2019. 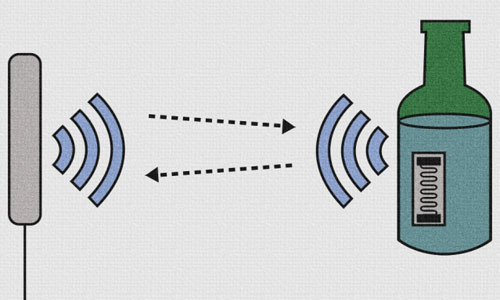 Massachusetts Institute of Technology Media Laboratory researchers have developed a wireless system that uses inexpensive radio-frequency identification (RFID) tags attached to countless products to sense potential food contamination. Comprising the RFIQ system is a reader that detects minute changes in wireless signals emitted from the tags when they interact with food. Certain shifts in RFID tag emissions correspond to levels of certain contaminants within a product; when a wireless prompt from the reader powers up tags, the electromagnetic waves they discharge penetrate the container and are distorted by the content's molecules and ions. The researchers fed these correlations into a machine learning model which, given a new material, can predict both the presence and concentration of contaminants. In experiments, RFIQ detected baby formula laced with melamine with 96% accuracy, and alcohol diluted with methanol with 97%. The research was presented at ACM Workshop on Hot Topics in Networks. 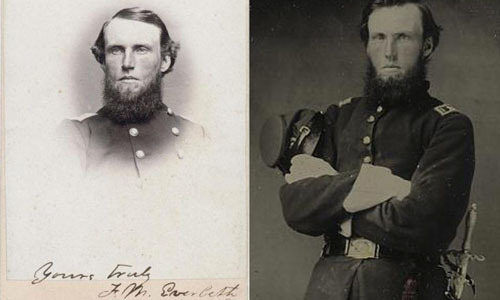 Computer scientist Kurt Luther, working with a group of researchers at Virginia Polytechnic and State Institute, has launched Civil War Photo Sleuth (CWPS), a Web platform that applies facial recognition to anonymous portraits that survived the Civil War. When a user uploads a photo, the software maps up to 27 distinct "facial landmarks." Users are further able to refine their searches by adding filters for uniform details that could reveal the soldier's rank, and the program cross-references the photo with other images in CWPS's database; the final search results present an array of possible matches for consideration. In the site's first month, CWPS logged 88 reported identifications, of which 75 were "probably or definitely correct." Said Luther, "The beauty of CWPS is that the more people use it, the more information gets added, leading to more identifications—it's a virtuous cycle." Researchers at the Quantum Technologies for Information Science research group of the University of the Basque Country in Spain have developed a quantum biomimetic protocol that reproduces the characteristic process of Darwinian evolution adapted to the language of quantum algorithms and quantum computing. The new system involves an artificial life protocol that encodes quantum behaviors belonging to living systems, such as self-replication, mutation, interaction between individuals, birth, and death. The algorithm follows a protocol that encodes quantum behaviors adapted to the same behaviors of living systems. In the artificial life scenario, a set of models of simple organisms is capable of accomplishing the most common phases of life in a controlled virtual environment, proving that microscopic quantum systems are able to encode quantum characteristics and biological behaviors. 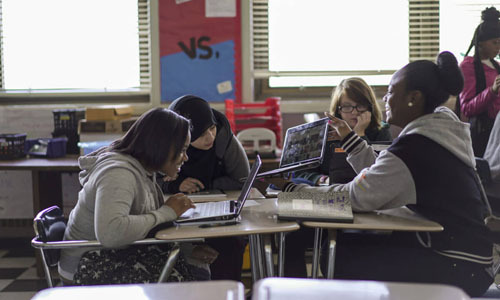 The University of Southern California (USC) Viterbi School of Engineering's Adopt-a-School, Adopt-a-Teach (VAST) PreK-12 science, technology, engineering, and math outreach program has partnered with Code.org to expand access to computer science in schools and boost participation by women and underrepresented minorities. This enables USC VAST to help schools from the Inland Empire to Bakersfield integrate computational thinking and computer science into their curricula. Another partnership with the Joan Ganz Cooney Center at Sesame Street Workshop, called El Circulo Familiar, is designed to engage Latino families in computer science literacy. The program will be built on VAST's computer science program, Building Opportunities with Teaches in Schools (BOTS); El Circulo Familiar engages with families of first- and second-grade students at three elementary schools where USC VAST's in-school computer science is provided through BOTS. Said USC VAST's Katie Mills, "Our goal is to help families, students, and teachers work in tandem to gain confidence with their computational skills as well as to bust through misperceptions and stereotypes of who can and should do coding." Princeton University researchers have constructed a programmable computer chip that boosts the performance and reduces power consumption of systems used for artificial intelligence (AI). The chip incorporates in-memory computing, eliminating the need for processors to retrieve data from stored memory, accelerating speed and efficiency. The team combined in-memory circuitry into a programmable processor architecture, making the chip compatible with common coding languages like C. The chip supports systems designed for deep learning inference, and couples capacitors with conventional cells of static-random-access memory to perform computations on the data in the analog realm that are reliable and amenable to including programmability features. Princeton's Naveen Verma said the device's energy savings are as important as its upgraded performance for AI applications that run on battery-driven devices. Verma added that programmability is necessary to ensure in-memory computing's capability will scale and be usable by system designers toward all desired AI applications. Computer scientists at the University of Bristol have helped to develop a new animal enrichment activity for gorillas at Bristol Zoo Gardens. The project integrates concealed computer technology with cognitive animal enrichment, measuring how gorillas solve complicated problems. The system includes a wall-mounted modular device that the gorillas can use to solve a series of puzzles and receive rewards. The activity box features a built-in Go-Pro camera and electronic sensing equipment to record how, when, and where the gorillas use it. Said Bristol's Stuart Gray, "The ultimate aim of the project is to create a positive psychological state of pleasure and satisfaction in the gorillas, similar to that which is reported in humans when they are fully absorbed in a task. It also gives us researchers large new datasets to show exactly how the gorillas are behaving and using this puzzle device."